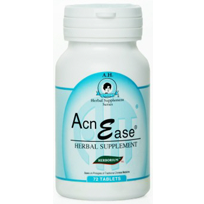 AcnEase is an all-natural acne treatment pill. The manufacturer makes a big deal of the Traditional Chinese Theory, and how their ingredients were derived from it. An interesting story about how a product was developed is a good sales strategy, but we can’t know how truly effective Acnease will be until we look at the ingredients and consumer reviews. 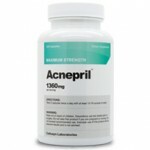 AcnEase is advertised to produce safe and fast results. This herbal supplement is said to produce visible results in as few as 7 to 10 days. That’s an impressive claim to make but can AcnEase live up to this? 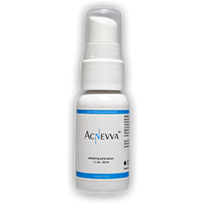 AcnEase is an oral acne treatment. The tablets are small, easy to swallow, and advertised to fight acne from the inside out. We like this philosophy but too many products do not include the ingredents necessary to produce results. Fructus Gardeniae is one of the first ingredients named in their proprietary blend. The biggest news about this ingredient has been the potential for a new diabetes treatment based on it. 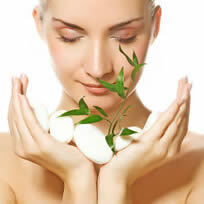 However, there aren’t any studies with the effects on Acne. Despite the lack of tests on this particular ingredient there has been some speculation about the effect of Insulin and Insulin-like Growth Factor’s effect on Acne. As yet however, there is little evidence to support this idea. Herba Houttuyniae also known as “Heartleaf, or Lizardtail” is another key ingredient with some clinical evidence available. A study was conducted testing the anti-microbial effects of certain medicinal plants against acne-inducing bacteria (Propionibacterium acnes). The study showed that Houttuyniae required a much higher concentration to inhibit and kill the bacteria. Other ingredients include: Balsam Pear, Mustard Leaf, Dandelion, and Scierotium. Through the combination of these herbs you should be able to experience fewer acne outbreaks and healing of existing acne. In addition, AcnEase is said to eliminate redness, flushing, and heat sensitivity. Many agreed with this, saying that it was not a miracle cure, but it was safer and gentler on the skin than other products and did help to some degree. This is a tough call, since the ingredients don’t give us much confidence in Acnease, but most consumers liked it. Overall, we would recommend finding something a little more affordable as AcnEase can get expensive. Luckily, they offer a money back guarantee so even if you are not satisfied with your results, at least you won’t lose money!